Do you like Explorer style in longhorn? 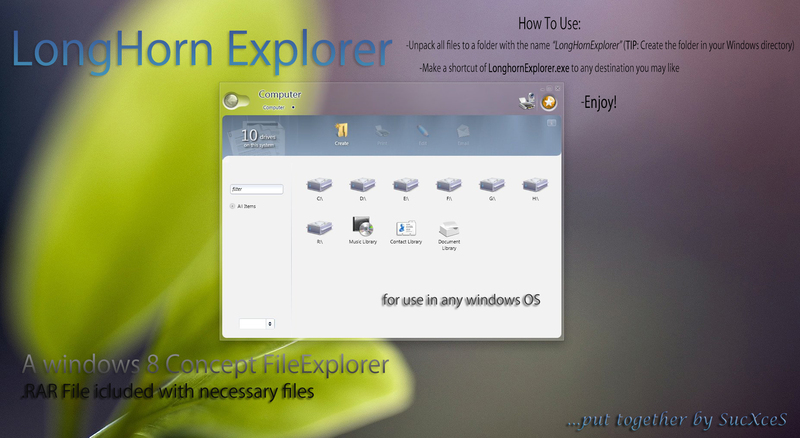 if yes maybe you like to have it in win8/7/vista/xp too so our friends sucxces released longhorn explorer for other version of windows. This is a nice and same as the real longhorn explorer style.